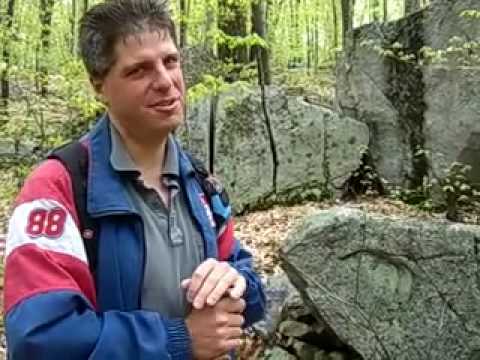 Kyle speaks with Charlie about how he came to be interested in America’s real history, the many ancient structures found in New England, Celts and the Tribe of Dan, traces of the jews in the Americas, the mound builders, Kennewick Man, the Solutreans of long ago, the genocides of ancient Whites, and so much more. I miss your shows, Charles. Awesome interview. Always great to hear from Charles. Thank you Kyle for all your efforts. Great show guys, man it’s good to hear CG again I’m saving up for his book it’s on my watch list . Didn’t know he was an 88er …. nice pic . That last part was a joke I listen to his shows also , I don’t want to trigger anyone . Reboot, I hear you, and that’s actually really quite hilarious…I’m sure it’s just a weird coincidence he happens to have a jacket with an 88 on it, as we of course know he is not an 88er. Still, it is kind of odd to see clothing with numbers on it that isn’t some kind of jersey/sports garment. It’s not even a HS jacket because I know he graduated HS before I did, and I am an “88”er (cause I graduated in ’88 ; ) ). Plus that is 10 years old, wow. Haven’t finished listening yet but a good show. The “devils marbles” is an interesting site in Australia. I don’t know if it is one of the type of sites mentioned, and we are taught that they were formed by erosion, but who knows? Also sites just outside of Melbourne, Australia with boulders balancing on top of other rocks. Learned a lot from this show. Thank you. Only thing… Can’t hear Max Igan’s name without qualifying his support (covered here at Renegade in depth by Sinead and others) for Zen Gardner, one of the leaders of the pedo cult, Children of God. For me, not mentioning that is like giving him a pass, a kind of validation. Just had to say. Charles and Kyle – American treasures…. I saw a lot of artifacts growing up, because all my male relatives collected arrowheads, pottery, flint shards – I think the south is less picked over. Here’s a man (of mostly Creek Indian ethnicity) who has a big collection. I wonder if some of these arrowheads are European, anyone know? The show makes me want to go out and wander around mounds and creek beds. I’m so glad C.G. is back! I especially enjoyed the topic the caller brought up, regarding the evidence of ancient early Euro communities in North America. It is totally plausible that people from Europe settled the Americas. But laws were passed to keep this evidence covered up. The social engineers do not want mass mind to understand that Europeans were here before the Asians. There entire Native American victims of evil white people agenda would collapse. This is a similar cover-up of the fact that Jews ran the African slave trade. If that was common knowledge, the attack on white people as being responsible for slavery in the U.S. would also collapse. It is amazing how hard they work in their malevolent deceptions. Truly evil. “Renegade broadcasting,…….. hard-hitting….. talk radio”. “Your time has come….. a storm is coming……” All sounds very professional and intriguing! The second GIF I just couldn’t resist showing! Hope that was not her time! I’m so HAPPY Charlie returned! I’ve missed him! Great show both of you!